On the move again! This time following the north coast to Arctic Henge. There is a faster road (number 85) if you are not interested in birdwatching, otherwise the northern coast hosts many birds nesting. 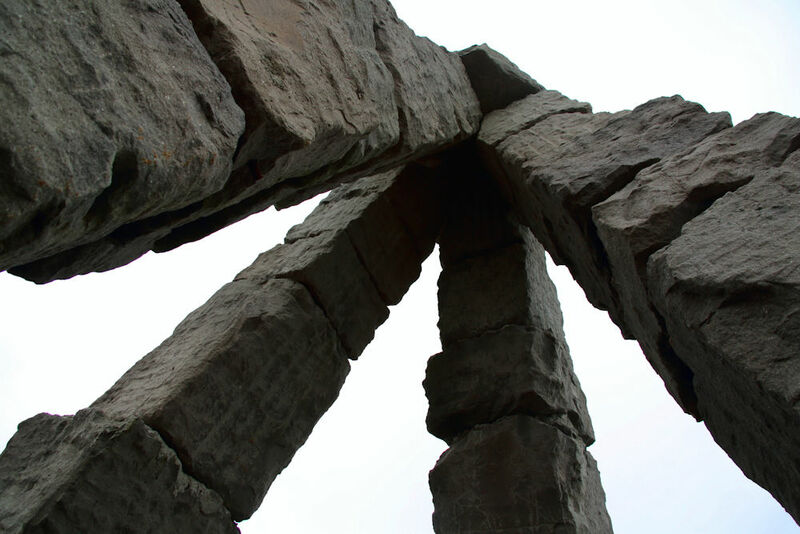 The Arctic Henge is a monument (it is not ON the polar arctic circle) that is being built. At the time there was four arches and a central spike made of stones. It is already a nice place to visit, we’ll see how it changes in the future! We then left Raufarhofn for Porshofn, where we explored a bit of the Langanes peninsula. Here too, there are many birds nesting, and there is an observatory deck over some cliffs. Definitely a must see. The peninsula is huge, and the road is not that comfortable, so we couldn’t reach the lighthouse at the end. On the southern coast there are some abandoned walls: those are the remains of Skalar. This village has been abandoned since 1946.